A trickle of birds flew east during the day with a drake Garganey, 22 Sanderlings, two Great Skuas, two Little Terns and a Black Tern of note. It was very quiet on the land but a Firecrest in the lighthouse garden was a new arrival and a Hobby, two Yellow Wagtails and a Corn Bunting flew over. 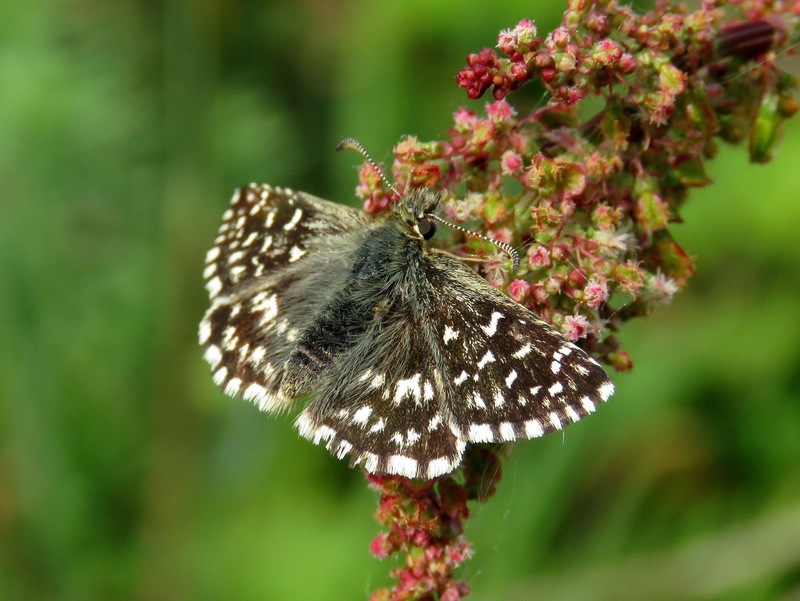 On the butterfly front, both Brown Argus and Common Blue were new for the year and a count of 20 Grizzled Skippers was particularly noteworthy. 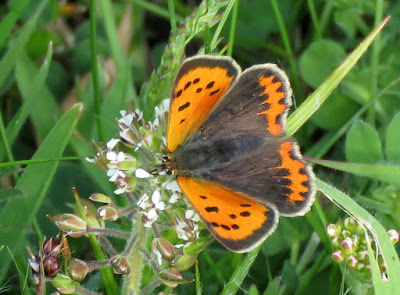 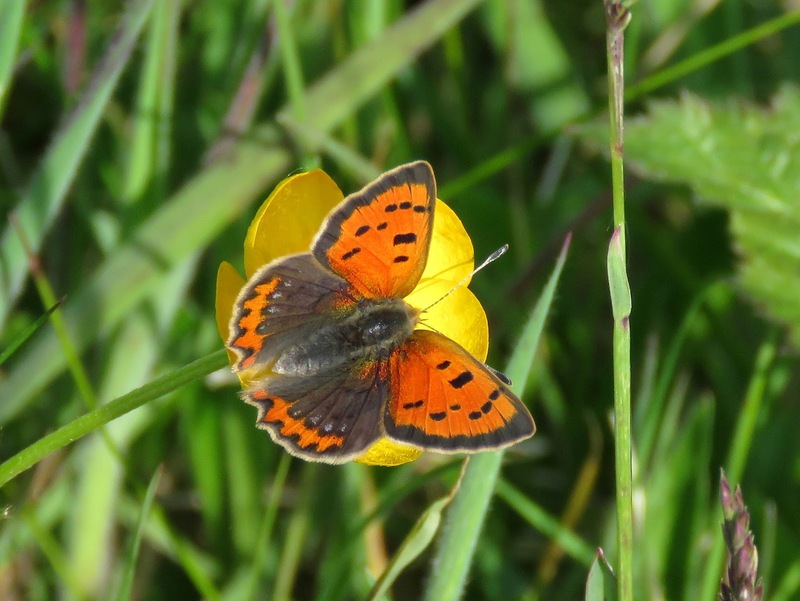 The more one looks at Small Coppers the greater the variation/aberrations that one finds. Three of the more distinctive ones seen today are shown below. 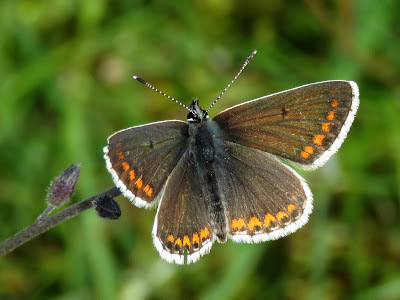 The first individual shows the forewings diistinctly paler than the orange in the hindwing, In the second note the blue spots and short dagger -like intrusions from the orange hindwing band into the mid-section of the wing in the first and the extensive intrusions into the mid-wing on the third individual. 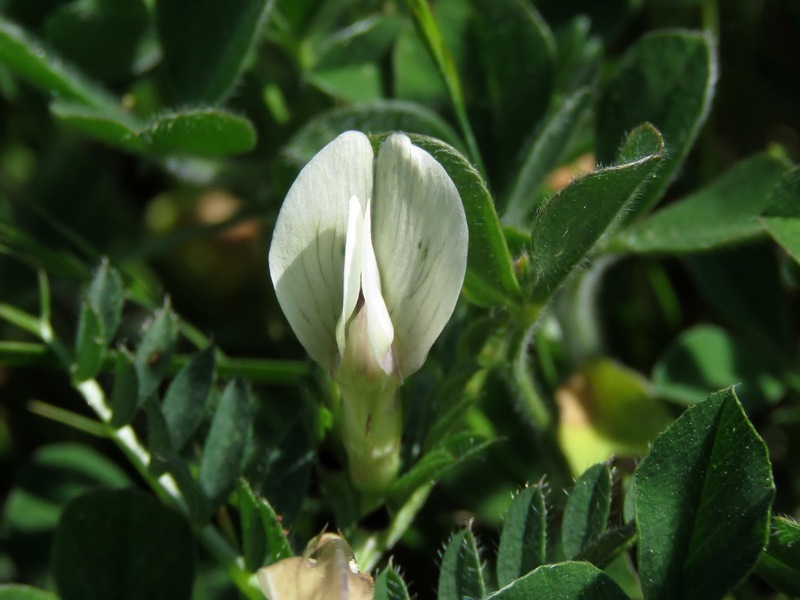 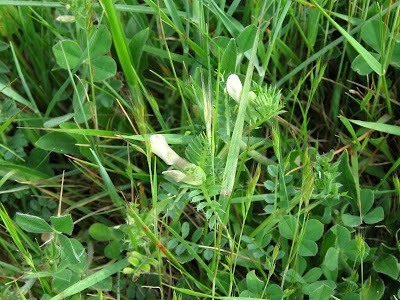 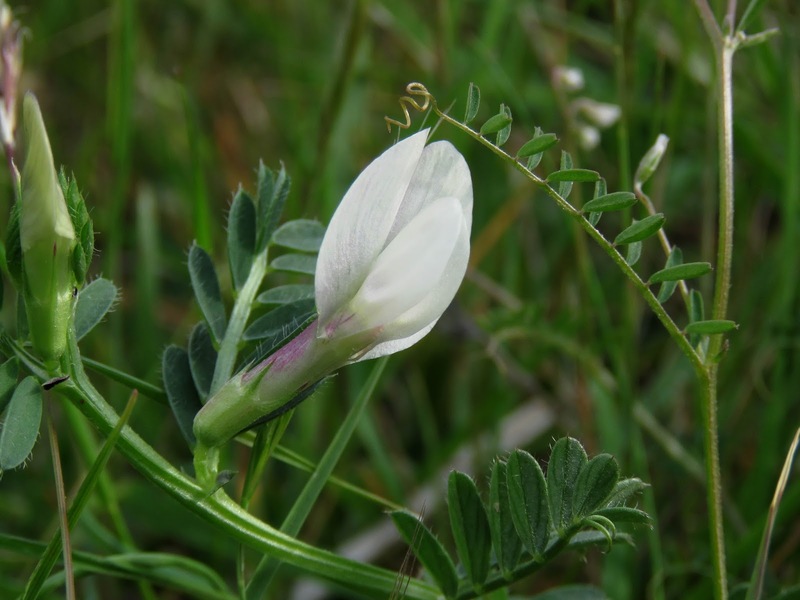 Another of Dungeness' nationally scarce plants, Yellow Vetch Vicia lutea, has just come into flower close to the Observatory.